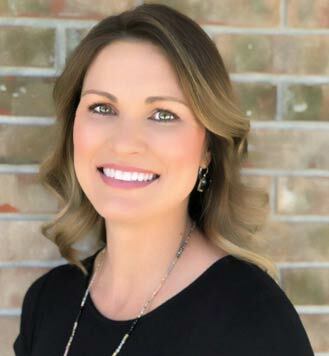 Sun Dermatology in Panama City is proud to announce the addition of Licensed Aesthetician, Jennifer Rowe. Jennifer’s expertise broadens the wide range of treatments currently provided by Sun Dermatology. Jennifer will examine your skin and create a personalized skin care regimen that will make your skin healthier and more vibrant. You and your skin will leave feeling nourished, revitalized and rejuvenated. A complimentary consultation with our Aesthetician will precede your treatment. This distinct blend of active exfoliants works synergistically to visibly reduce the appearance of fine lines, correct uneven skin tone, smooth rough texture and reduce acne blemishes. This Luxurious treatment diminishes dark spots by utilizing the latest innovations in lightening and exfoliating technologies. Skin tone is instantly improved providing a glowing, radiant complexion. Say bye-bye to breakouts! This purifying facial treatment combines powerful antibacterial ingredients with soothing botanicals to fight all grades of acne without irritating delicate skin. After just one treatment you’ll know why Vitamin C is a must-have anti-aging ingredient. This rejuvenating treatment lightens, brightens, and tightens the skin while soothing botanicals reduce redness and add vital hydration. Breakouts aren’t limited to the skin on your face. This clinical treatment combines exfoliation with antibacterial salicylic acid and anti-inflammatory botanicals to heal breakouts on the back. This exfoliating treatment uses a diamond tip wand to remove the outer most layer of dead skin cells. Microderm softens fine lines and wrinkles, helps to smooth coarsely textured skin, decreases the appearance of shallow scars, decreases pore size, and reduces superficial hyper-pigmentation, also known as age spots. Microdermabrasion also makes it easier for high-tech serums and skin care products to penetrate into the deeper layers of the skin. This treatment uses a small blade to remove the dead layer of cells and the superficial hair on the outer surface of your skin. This technique exfoliates your face leaving you with smooth and glowing skin in only one session. Products penetrate deeper and makeup goes on flawlessly. Ask About Our Package Pricing! For more information on the Aesthetician here at SunDerm or to schedule an appointment with Jennifer, contact the office today.